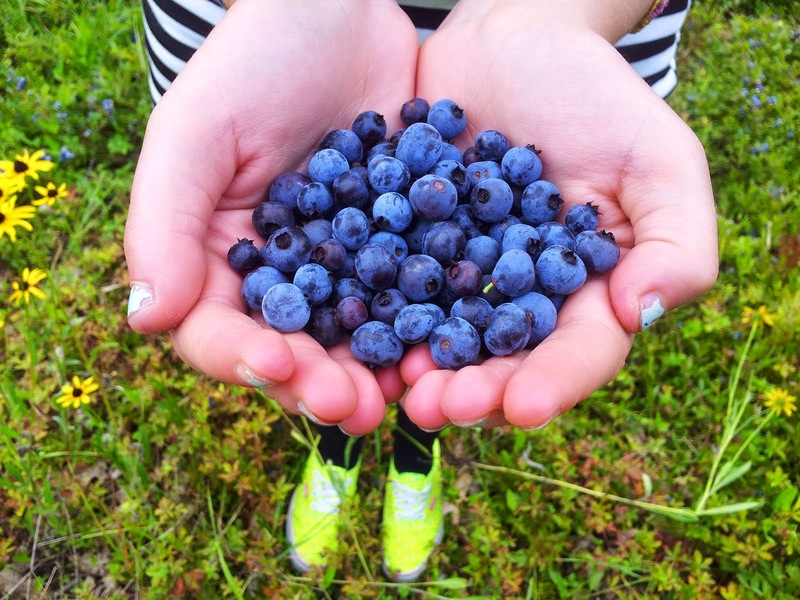 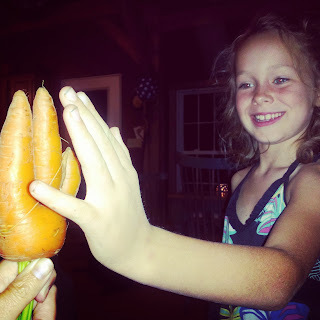 Awe and love for the way the earth reaches out to us, trying to connect to us in a language we can grasp. What joy to see her joy! 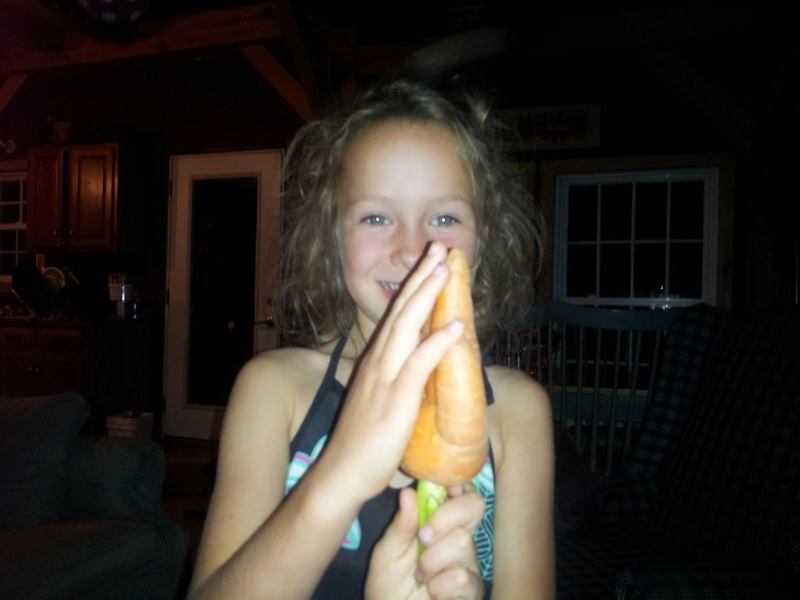 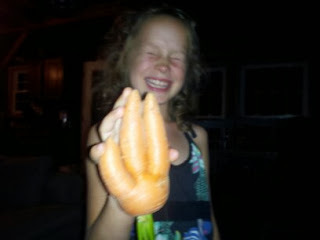 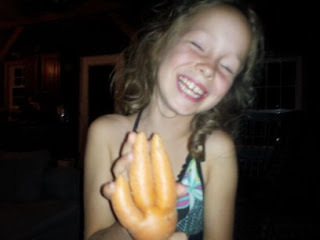 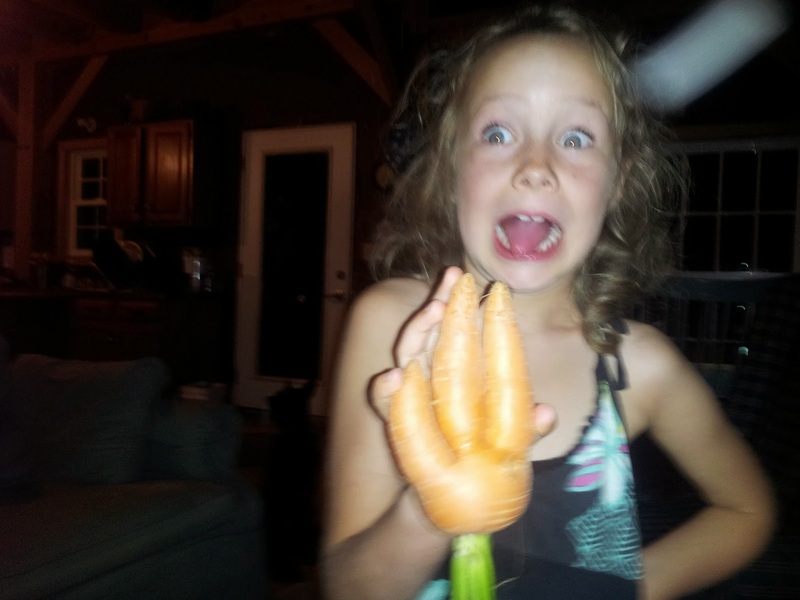 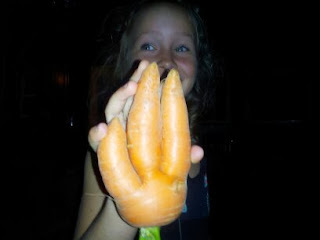 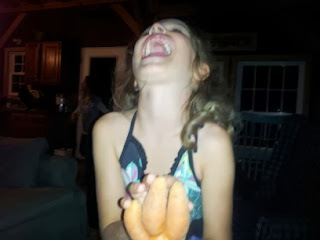 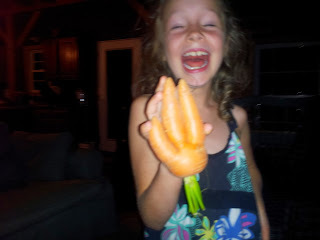 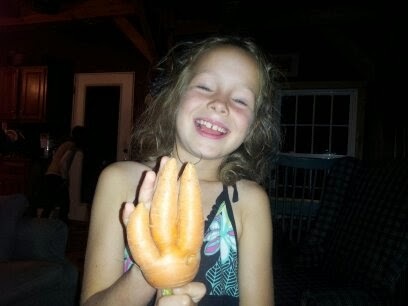 She is so full of laughter and silliness as she poses for “high fives” with this amusing carrot!